Duo pianists Melvin Stecher and Norman Horowitz joined forces in Read more 1951. Later in their career they established their own foundation and created the New York International Piano Competition, which has launched the careers of quite a few young pianists. The competition, unlike others, has also commissioned original works, and some of those are presented here. It would seem a no-brainer that new music helps to renew a tradition, but having music and performance proceed hand in hand like this is a rare thing. The performers are young New York International Piano Competition prize-winners, and to a one they find the music sympathetic. 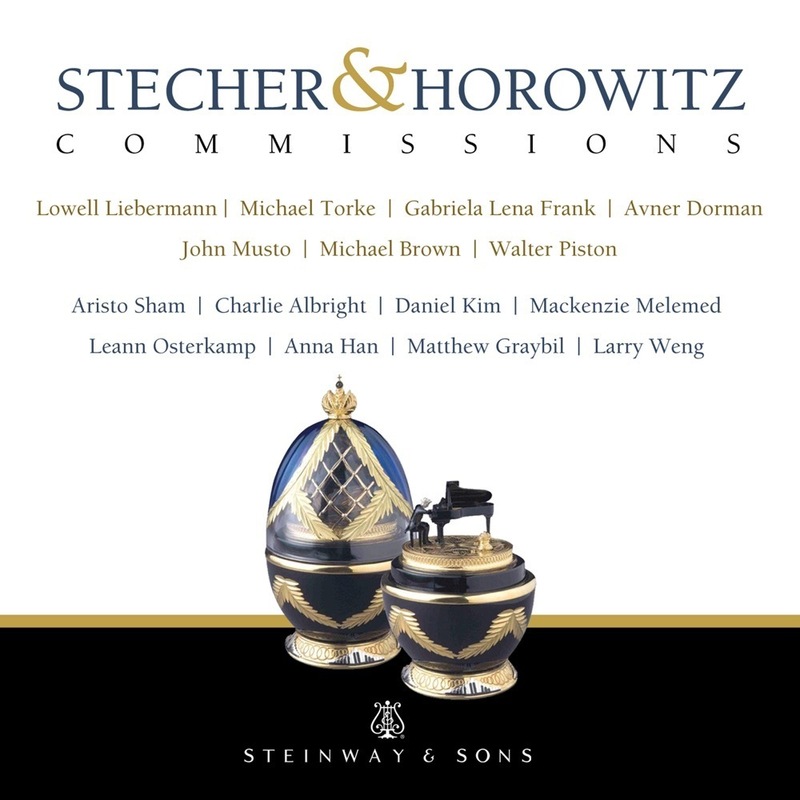 Standouts are Mackenzie Melamed's performance of Avner Dorman's Three Etudes, which bring real piano-friendly virtuosity to a modern Ligeti-like idiom, and the Concerto for Two Pianos Soli of Walter Piston (not a competition-commissioned work but one written for Stecher and Horowitz themselves), which is richly in need of revival. But the whole program is enjoyable, accessible, and varied. Recommended, with fine Steinway Hall sound. Period: Written: 2016 Date of Recording: 1/16/2017 Venue: Steinway Hall, New York City Length: 4 Minutes 57 Secs. Written: 2016 Date of Recording: 1/16/2017 Venue: Steinway Hall, New York City Length: 3 Minutes 19 Secs. Date of Recording: 1/17/2017 Venue: Steinway Hall, New York City Length: 8 Minutes 11 Secs. Date of Recording: 1/16/2017 Venue: Steinway Hall, New York City Length: 8 Minutes 16 Secs. Written: 2012 Date of Recording: 1/17/2017 Venue: Steinway Hall, New York City Length: 2 Minutes 4 Secs. Written: 2012 Date of Recording: 1/17/2017 Venue: Steinway Hall, New York City Length: 3 Minutes 21 Secs. Written: 2012 Date of Recording: 1/17/2017 Venue: Steinway Hall, New York City Length: 3 Minutes 5 Secs. Written: 2008 Date of Recording: 1/16/2017 Venue: Steinway Hall, New York City Length: 9 Minutes 7 Secs. Date of Recording: 1/17/2017 Venue: Steinway Hall, New York City Length: 6 Minutes 50 Secs. Written: 1958 Date of Recording: 3/5/2017 Venue: Steinway Hall, New York City Length: 20 Minutes 42 Secs.